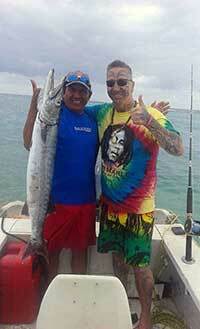 GREAT DEEP SEA FISHING IN PLAYA DEL CARMEN MÉXICO! FISHING AS YOU LIKE IT! 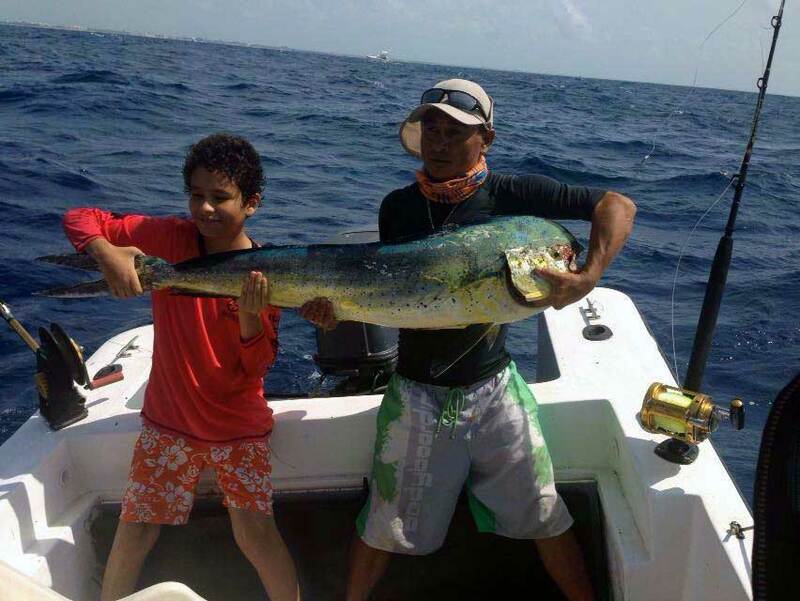 In Fishing Playa del Carmen, It’s your trip, let’s make sure you enjoy it! 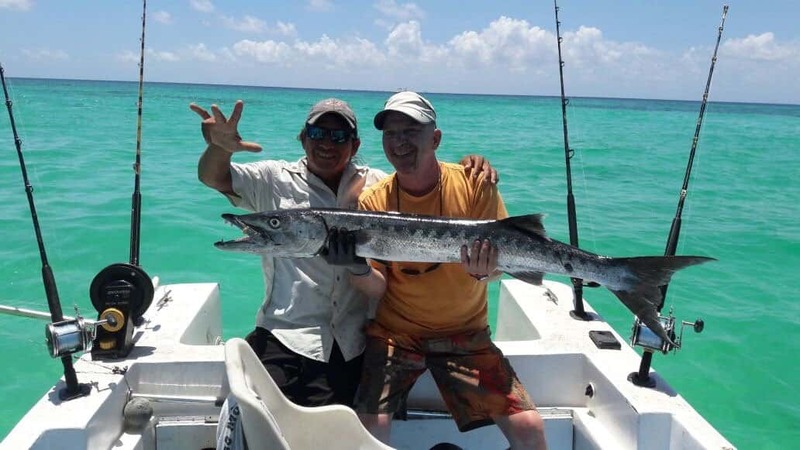 Whether your goal is to spend a few relaxing hours on the water, finding the big fish, or something in-between, Al Gusto is the right choice for you! As our namesake implies we want you to have your day, your way! 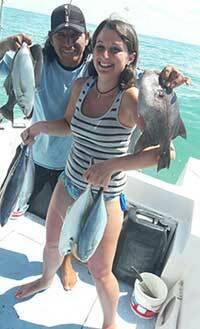 Our guides, captains and crew are well trained, professional and focused on you and your group’s day on the water. Prior to your tour, we check to ensure we have captured what’s important for your trip. Then it’s our job to help you have the day you envision. 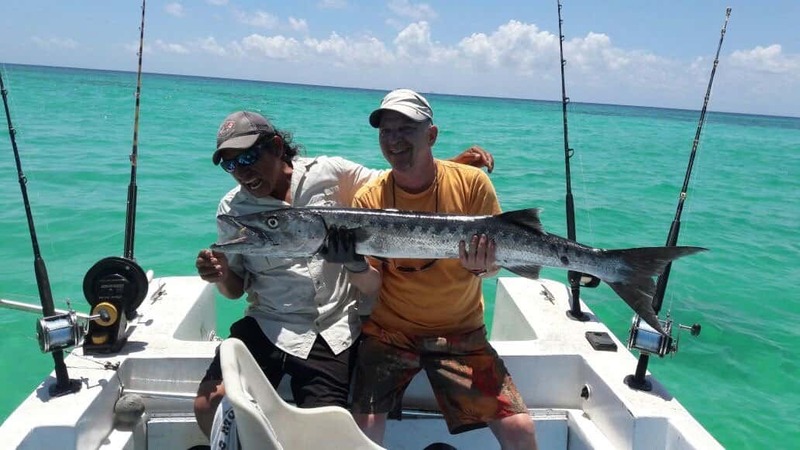 Our guides have all been professionally fishing in Playa del Carmen for more than 5 years. They are part of the local fishing association and stay well informed as to where to find the fish. Our rate is $250 USD for 4 hours and $325 for 6 hours (bring your hats and sunscreen!). 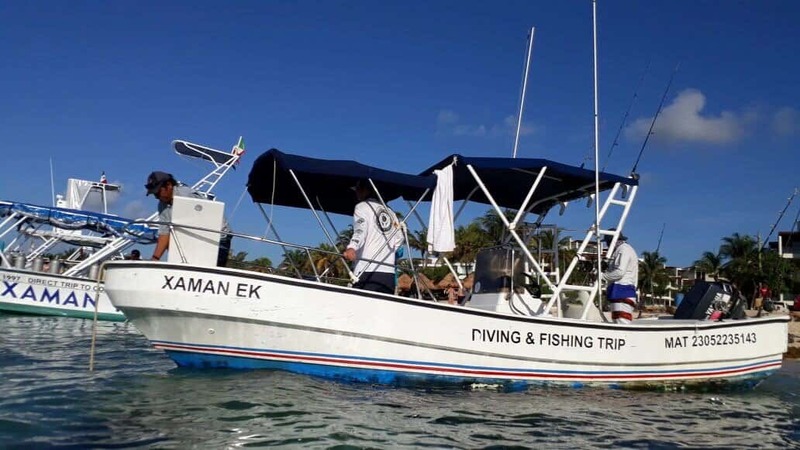 Our fishing boat, the Xaman Ek (Northern Star in Mayan) is a 24-ft. boat perfectly matched to deep sea fishing or snorkeling and can accommodate 4 guests, the crew and of course fish! 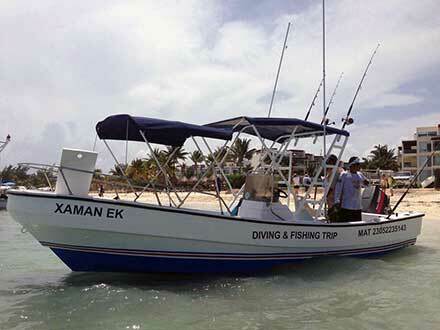 We leave from Coco Beach where most boats are moored especially the fishing charter boats.